Surprising Discoveries About Olive Oil. Today, substantial new findings further validate extra virgin olive oil’s benefits for cardiovascular, bone, and brain health. Several of these studies were large-scale clinical trials on humans. 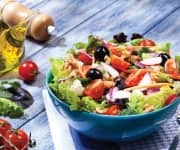 In a study conducted in Italy, almost 19,000 people were assessed to determine their adherence to a Mediterranean-style diet. The researchers discovered that people who derived the greatest health benefits ingested higher concentrations of micronutrients such as polyphenols. The situation is even worse in America, where an estimated 80% of extra virgin olive oil does not meet the legal grades to be called extra virgin.13 Producing top-quality olive oil takes time and care, and there are many unscrupulous providers that intentionally mislabel their product to make money. To be eligible for this study all participants had to be at high-risk for cardiovascular disease. 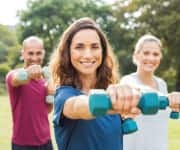 The participants averaged age 67 and had either type II diabetes or at least three or more major risk factors: smoking, hypertension, dyslipidemia, overweight/obesity, or a family history of premature cardiovascular disease. Group 1: Traditional Mediterranean diet supplemented with extra virgin olive oil. Group 2: Traditional Mediterranean diet supplemented with nuts. Group 3: Control, low-fat diet. To measure hydroxytyrosol ingestion, urinary levels of its metabolite (homovanillyl alcohol) were measured. The highest urinary levels of homovanillyl alcohol were obtained by the subjects whose intervention included a traditional Mediterranean diet with the addition of extra virgin olive oil. Extra virgin olive oil is a key component of the Mediterranean diet. A recent Italian study discusses the necessity of eating high quality, polyphenol-rich foods in order to obtain the benefits we associate with a Mediterranean diet. Oleuropein, tyrosol, and hydroxytyrosol are important polyphenols found in high-quality extra virgin olive oil. A Mediterranean diet rich in high-quality extra virgin olive oil is linked with reduced risks of cardiovascular disease and low bone density, and recent animal research has provided insights on its importance in fighting neurodegenerative diseases like Alzheimer’s. In an additional study, a key component of the Mediterranean diet, extra virgin olive oil, was tested against a diet high in nuts, or a low-fat diet, on 870 subjects ages 55-80 with high risk of cardiovascular disease.30 The subjects were monitored over a median follow-up of 8.9 years, during which 114 cases of osteoporosis-related fractures occurred. The most common way to assess the risk of fracture is a bone densitometry study, which is a specialized type of X-ray. These tests generate a “T-score” – higher T-scores mean greater bone-mineral density, and lower risk of fracture. In aged rats (24 months old), loss of bone mineral density was significantly greater in sunflower oil-fed rats compared to the group that received olive oil. Interestingly, bone-mineral density and concentration was markedly increased, in both diet groups when supplemented with CoQ10. The researchers found that sunflower oil was associated with significantly greater oxidative stress, which was effectively controlled with CoQ10 supplementation. 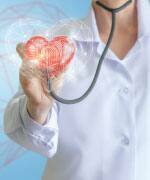 Triglycerides were long ago shown to increase vascular disease risk when elevated. These recent discoveries corroborate research uncovered by Life Extension® in 2005.40 Many readers of this magazine have used this data to supplement with nutrient formulas containing olive polyphenols and/or increase their dietary intake of extra virgin olive oil. Kok FJ, Kromhout D. Atherosclerosis–epidemiological studies on the health effects of a Mediterranean diet. Eur J Nutr. 2004;43 Suppl 1:I/2-5. Henriquez Sanchez P, Ruano C, de Irala J, et al. Adherence to the Mediterranean diet and quality of life in the SUN Project. Eur J Clin Nutr. 2012;66(3):360-8. Veronese N, Stubbs B, Noale M, et al. Adherence to the Mediterranean diet is associated with better quality of life: data from the Osteoarthritis Initiative. Am J Clin Nutr. 2016;104(5):1403-9. Widmer RJ, Flammer AJ, Lerman LO, et al. The Mediterranean diet, its components, and cardiovascular disease. Am J Med. 2015;128(3):229-38. Buckland G, Mayen AL, Agudo A, et al. Olive oil intake and mortality within the Spanish population (EPIC-Spain). Am J Clin Nutr. 2012;96(1):142-9. Rigacci S, Stefani M. Nutraceutical Properties of Olive Oil Polyphenols. An Itinerary from Cultured Cells through Animal Models to Humans. Int J Mol Sci. 2016;17(6). Available at: http://www.predimed.es/introduction.html. Accessed October 18, 2017. Bonaccio M, Di Castelnuovo A, Pounis G, et al. High adherence to the Mediterranean diet is associated with cardiovascular protection in higher but not in lower socioeconomic groups: prospective findings from the Moli-sani study. International Journal of Epidemiology. 2017. Owen RW, Mier W, Giacosa A, et al. Phenolic compounds and squalene in olive oils: the concentration and antioxidant potential of total phenols, simple phenols, secoiridoids, lignansand squalene. Food Chem Toxicol. 2000;38(8):647-59. Hoffman R, Gerber M. Food Processing and the Mediterranean Diet. Nutrients. 2015;7(9):7925-64. Available at: http://www.cbsnews.com/news/60-minutes-overtime-how-to-buy-olive-oil/. Accessed October 9, 2017. Available at: http://www.forbes.com/sites/ceciliarodriguez/2016/02/10/the-olive-oil-scam-if-80-is-fake-why-do-you-keep-buying-it/#2927ff125e0c. Accessed October 9, 2017. Available at: http://www.oliveoiltimes.com/olive-oil-basics/mafia-olive-oil-on-60-minutes/50203. Accessed October 9, 2017. Available at: http://www.cnn.com/2017/07/31/health/mediterranean-diet-heart-benefits-socioeconomic-study/index.html. Accessed October 9, 2017. Visioli F, Galli C. Olive oil: more than just oleic acid. Am J Clin Nutr. 2000;72(3):853. Tripoli E, Giammanco M, Tabacchi G, et al. The phenolic compounds of olive oil: structure, biological activity and beneficial effects on human health. Nutr Res Rev. 2005;18(1):98-112. Tejada S, Pinya S, Del Mar Bibiloni M, et al. Cardioprotective effects of the polyphenol hydroxytyrosol from olive oil. Curr Drug Targets. 2016. Virruso C, Accardi G, Colonna-Romano G, et al. Nutraceutical properties of extra-virgin olive oil: a natural remedy for age-related disease? Rejuvenation Res. 2014;17(2):217-20. De la Torre R, Corella D, Castaner O, et al. Protective effect of homovanillyl alcohol on cardiovascular disease and total mortality: virgin olive oil, wine, and catechol-methylathion. Am J Clin Nutr.2017;105(6):1297-304. Abuznait AH, Qosa H, Busnena BA, et al. Olive-oil-derived oleocanthal enhances beta-amyloid clearance as a potential neuroprotective mechanism against Alzheimer’s disease: in vitro and in vivo studies. ACS Chem Neurosci. 2013;4(6):973-82. Casamenti F, Stefani M. Olive polyphenols: new promising agents to combat aging-associated neurodegeneration. Expert Rev Neurother. 2017;17(4):345-58. Lauretti E, Iuliano L, Pratico D. Extra-virgin olive oil ameliorates cognition and neuropathology of the 3xTg mice: role of autophagy. Ann Clin Transl Neurol. 2017;4(8):564-74. Bloom GS. Amyloid-beta and tau: the trigger and bullet in Alzheimer disease pathogenesis. JAMA Neurol.2014;71(4):505-8. Available at: https://www.usatoday.com/story/news/nation-now/2017/06/21/extra-virgin-olive-oil-staves-off-alzheimers-preserves-memory-new-study-shows/415279001/. Accessed October 10, 2017. Cummings SR, Melton LJ. Epidemiology and outcomes of osteoporotic fractures. Lancet.2002;359(9319):1761-7. Malmir H, Saneei P, Larijani B, et al. Adherence to Mediterranean diet in relation to bone mineral density and risk of fracture: a systematic review and meta-analysis of observational studies. Eur J Nutr. 2017. Garcia-Gavilan JF, Bullo M, Canudas S, et al. Extra virgin olive oil consumption reduces the risk of osteoporotic fractures in the PREDIMED trial. Clin Nutr. 2017. Savanelli MC, Barrea L, Macchia PE, et al. Preliminary results demonstrating the impact of Mediterranean diet on bone health. J Transl Med. 2017;15(1):81. Varela-Lopez A, Ochoa JJ, Llamas-Elvira JM, et al. Loss of Bone Mineral Density Associated with Age in Male Rats Fed on Sunflower Oil Is Avoided by Virgin Olive Oil Intake or Coenzyme Q Supplementation. Int J Mol Sci. 2017;18(7). Galvao Candido F, Xavier Valente F, da Silva LE, et al. Consumption of extra virgin olive oil improves body composition and blood pressure in women with excess body fat: a randomized, double-blinded, placebo-controlled clinical trial. Eur J Nutr. 2017. Davis CR, Bryan J, Hodgson JM, et al. A Mediterranean Diet Reduces F2-Isoprostanes and Triglycerides among Older Australian Men and Women after 6 Months. J Nutr. 2017;147(7):1348-55. Roberts LJ, Morrow JD. Measurement of F(2)-isoprostanes as an index of oxidative stress in vivo. Free Radic Biol Med. 2000;28(4):505-13. Schwedhelm E, Bartling A, Lenzen H, et al. Urinary 8-iso-prostaglandin F2alpha as a risk marker in patients with coronary heart disease: a matched case-control study. Circulation. 2004;109(7):843-8. Ehara S, Ueda M, Naruko T, et al. Elevated levels of oxidized low density lipoprotein show a positive relationship with the severity of acute coronary syndromes. Circulation. 2001;103(15):1955-60. Gao S, Liu J. Association between circulating oxidized low-density lipoprotein and atherosclerotic cardiovascular disease. Chronic Diseases and Translational Medicine. 2017;3(2):89-94. Hernaez A, Castaner O, Goday A, et al. The Mediterranean Diet decreases LDL atherogenicity in high cardiovascular risk individuals: a randomized controlled trial. Mol Nutr Food Res. 2017;61(9). Available at: http://www.lifeextension.com/Magazine/2005/1/report_multi/Page-01. Accessed November 6, 2017.